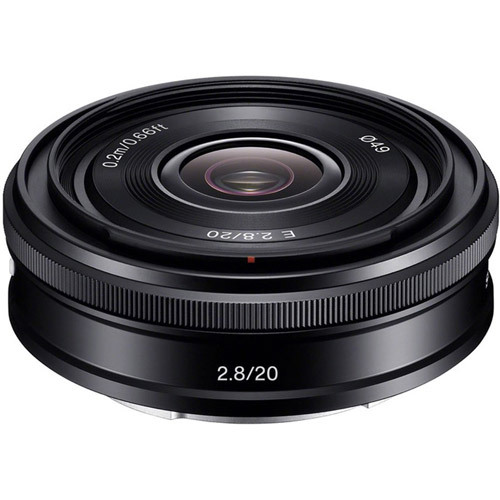 The Sony SEL20F28 20mm wide-angle lens (35mm equivalent = 30mm) is well-suited for a broad range of subjects, including landscapes, interiors and casual snapshots. This new-generation pancake lens is the perfect match for your Alpha NEX camera—it's compact and lightweight, thus making it easy to pack and carry, yet it delivers exceptional performance. A new optical design featuring three aspherical lens elements reduces distortion and aberrations around the image periphery, while the entire image area exhibits improved resolution and contrast. Not only does this lens deliver outstanding image quality, it features a pleasing, sophisticated design thanks to its slim aluminum alloy barrel, laser engraving and elegantly shaped control ring. Three aspherical lens elements correct distortions and aberrations. In particular, image quality in peripheral areas has been dramatically improved compared to previous lenses. The high resolution and excellent contrast assures richly detailed images free of distortion, making the lens an outstanding choice for a wide range of subjects such as casual snapshots to majestic landscapes. The SEL20F28 features seven aperture blades that form a near circle. This result in a pleasing defocused circular effect on the background of your image when the aperture is set wide open. The same type of internal stepping motor used for the focus drive is used for aperture actuation as well, that result in a smooth, low-noise aperture operation ideally suited to movie shooting. 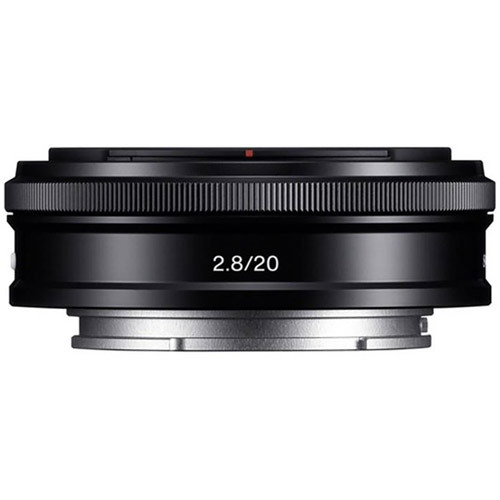 With a 20mm focal length (35mm equivalent 30mm) and a bright maximum aperture of F2.8, the SEL20F28 is ideal for a variety of subjects from landscapes, interiors to casual snapshots. The aluminum alloy lens barrel is inlaid into a molded-plastic component for a lightweight yet durable construction and features beautiful laser engraving of the product name and focal length for a stylish finish. The control ring allows for easy operation while the lens exudes a stylish appeal.